The nanny tax refers to the employment taxes paid when a family or individual hires someone to work in their home. This is typically a nanny who looks after children but also includes in-home elder care workers, housekeepers, household managers, butlers, and drivers. Household employees and their employers pay Social Security and Medicare taxes on the worker’s wages. Employees also pay federal and state (if applicable) income taxes. Employers pay federal and state unemployment taxes. Essentially, for tax purposes, household employees are treated the same as traditional employees. As a household employer, do I have to pay taxes on my employee? Yes. As a household employer, if you pay cash wages of $2,100 (2018) or more to your employee, you must withhold Social Security and Medicare taxes. Employers are not required to withhold Federal and State income taxes unless it is agreed upon by both parties. If income taxes are not withheld throughout the year, your nanny will be responsible for paying them at the end of the year. If you pay a total of $1,000 or more per quarter to a household employee you must pay federal unemployment tax. This does not apply if your household employee is your spouse, child under age 21, parent, or any employee under the age of 18 at any time in the current tax year. How much will I owe in nanny taxes? You are responsible for paying 7.65 percent of your employee’s gross pay in Social Security and Medicare taxes, which you can remit quarterly. Your employee will be responsible for the same amount, which can be withheld from their pay each pay period. Each of you will pay 6.2 percent towards Social Security and 1.45 percent to Medicare. Your employee will also owe income tax. You will also pay FUTA (unemployment tax), which is six percent of wages up to $7,000 in earnings. Your employee is not responsible for this tax. Can I file nanny taxes on my own? The IRS estimates that it takes a household employer 60 hours each year to comply with all federal and state tax laws. It can get complicated and time-consuming. You’ll need to adhere to all applicable federal and state tax, labor and wage laws like the Fair Labor Standards Act and Domestic Workers Bill of Rights. Some household employers rely on their accountant or a firm like GTM Payroll Services to handle payroll processing and tax filings. Before handling nanny taxes and payroll on your own, we suggest you visit The Complete Guide to Household Payroll. This guide will help you every step of the way and explain what you need to do and why. There’s even a handy checklist and payroll calendar at the end of the guide to use as references. However you proceed, it’s important to do it the right way. There can be steep financial consequences if you fail to properly pay your nanny taxes. My friends pay their employees off the books. Can I? According to IRS Publication 926, employers must withhold taxes if their employee earns $2,100 (2018) Gross. It is each individual employer’s responsibility to withhold taxes according to this. GTM strongly recommends that you review the tax laws regarding household employment. Not paying payroll taxes could result in hefty fines and penalties, and possible legal action by your employee. It’s not that difficult to get caught if your nanny files for unemployment, gets hurt on the job, or sues you for not withholding taxes. Paying your nanny “under the table” and getting caught could also trigger an IRS audit. Not paying proper taxes can also derail career opportunities and not just for government positions. For jobs that require a government security clearance, you’ll be asked if you failed to pay any taxes when required by law. My nanny is not a U.S. citizen. Do I still need to pay nanny taxes? For tax purposes, you’ll treat a noncitizen who is your employee the same as if they were a citizen. However, only noncitizens authorized to work in the U.S. by the Department of Homeland Security can get a Social Security number and be eligible for employment. Can I treat my household employee as an independent contractor? No. There are specific differences between an employee and an independent contractor. An employee is a person who takes instruction from the employer, has a schedule set by the employer, and uses tools and equipment provided by the employer. An independent contractor is a person who works under their own conditions, sets their own schedule, and uses their own supplies. 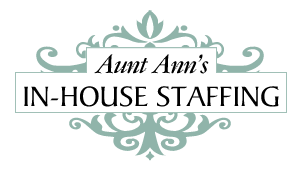 Most nannies who work in an employer’s home, whether it be on a temporary or full-time basis, are considered household employees, not independent contractors, because they work under the family’s control and have their schedule and pay set by the family. In the past, the IRS has made determinations that caregivers are considered employees and it is illegal for a family to treat them as independent contractors. Does my household employee receive a 1099 or W-2? Nannies, housekeepers, in-home elder care providers and other domestic workers are considered employees and not independent contractors. They should receive Form W-2 by January 31. You will also need to file Copy A of Form W-2 and Form W-3 with the Social Security Administration by the same date. I own a business. Can I put my household employee on my payroll? No. It is illegal to pay your household employee on your business payroll. A household employee is an employee in your home, not your business and therefore would not qualify you to take the tax deductions which you would be allowed to take with a traditional business employee. In most cases, federal household employment taxes must be paid on the employer’s personal federal income tax return, either annually or quarterly. The only exception to reporting federal household employment taxes on the employer’s personal federal income tax return is if they are a sole proprietor or if their home is on a farm operated for profit. In either of these cases, the employer may opt to include federal household employment taxes with their federal employment tax deposits or other payments for the business or farm employees. For more information, refer to IRS Publication 926. Should I talk to my employee in terms of Gross pay or Net pay? Tax tables change on average once a year, so there is no guarantee that the net that you agree on with the employee will remain the same. Overall, it is less costly for you to speak in terms of gross pay because your employee’s taxes are deducted from the gross wages rather than being added on top of the net. Can you explain the specifics of a nanny share? We highly recommend creating a work agreement in order to document the requirements of the position. A work agreement establishes a clear understanding between the employer and employee regarding the employee’s duties and responsibilities, and all that is expected from both. Lack of a work agreement can contribute to confusion, dissatisfaction, and a high turnover rate. For more information, download our Nanny Share Guidelines. What if my employee cannot provide documents for the I-9 form? As the employer, it is your responsibility to provide an I-9 form to your employee within 3 days of hiring. It is also your responsibility to review the documents received from your employee to ensure they are valid and not expired. If your employee is unable to provide the documents needed to support the proof of their work authorization legally, you should not hire them. If you are unsure of the eligibility of your employee, you can always verify the information they have provided using the E-Verify program at www.uscis.gov. Am I required to pay overtime? According to the U.S. Department of Labor, the federal Fair Labor Standards Act (FLSA) requires employers to pay overtime pay of one and a half times the regular pay rate. Overtime pay must be paid for work over 40 hours per week. However, some live-in nannies are exempt from overtime depending on the state in which they are employed. Employees hired to provide babysitting services on a casual basis or to provide companionship services for those who cannot care for themselves because of age or infirmity, are exempt from the FLSA’s minimum wage and overtime requirements, whether or not they reside in the household where they are employed. State and local laws for overtime vary and may supersede the federal FLSA law. Consult a certified professional at GTM for more information by calling (800) 929-9213, or contact your state’s Department of Labor for your state’s specific laws. A household employer should specify in the work agreement when approved overtime can occur and what the specific rate of pay will be to avoid conflict when the issue arises. Click here to estimate these costs using GTM’s Overtime Rate Calculator. How do I pay my nanny taxes? You’ll need to file Schedule H with your personal tax return. This form is used to report household employment taxes on wages subject to Social Security, Medicare, FUTA and any federal income tax withheld from your employee’s pay. If you haven’t been doing so, you may want to remit your taxes quarterly using Form 1040-ES. This will help spread your tax burden over the course of the year rather than as a lump sum at the end of the year. First, you’ll want to confirm your employee’s legal name, Social Security Number, and current address. These are needed to distribute Form W-2 to your employee as well as Copy A of the W-2 and Form W-3 to the Social Security Administration. If you want to take advantage of the Child and Dependent Care Tax Credit, you’ll need Form 2441. I’ve paid my nanny cash throughout the year. How do I file nanny taxes? First, it’s illegal to pay your nanny in cash or check without documentation of pay rate, hours worked, taxes withheld, and more provided to your employee on payday. Hopefully, you’ve kept track of your nanny’s wages for the year. If you have their gross wages, you can use a nanny tax calculator and begin to calculate what you and your employee owe in taxes. Time is of the essence as Form W-2 must be provided to your employee and the Social Security Administration by January 31. You and your employee should be prepared to take on a hefty tax bill as well. Since you haven’t been withholding taxes during the year, the entire tax amount is due by April 15. Make it a point to follow federal and state tax, wage and labor laws when it comes to paying your nanny. Withhold taxes from each paycheck and remit quarterly. Am I required to provide vacation or other paid time off to my employees? While vacation and other paid time off is not a requirement, it is a popular benefit provided to household employees and is a major contributor to job satisfaction, according to many nannies. All time off payments should be agreed upon by the employer and employee prior to hiring and should be clearly defined in both the work agreement and employee handbook. Do I have to provide workers' compensation insurance? Answer – In California, yes. This type of policy will provide compensation to an employee who is injured on the job. GTM is a licensed insurance brokerage that specializes in setting up workers’ compensation policies for household employers. Read more about workers’ compensation for household employers, and then contact us at (800) 929-9213 to explore your options and see if GTM can help you in obtaining this policy. What tax breaks do I receive? 1. Dependent Care Assistance Program (DCAP) – Most companies provide this benefit and allow employees to contribute up to $5000 of pre-tax earnings to a Dependent Care account. You would then be reimbursed these tax-free funds to cover childcare expenses. 2. Child and Dependent Care Tax Credit – For those who don’t have access to a Dependent Care Account, you can claim the Child and Dependent Care Tax Credit (Form 2441) on your personal income tax return at year-end. You can claim up to $3,000 of the un-reimbursed qualifying child care expenses paid in a year for one qualifying individual, or $6,000 for two or more qualifying individuals. The credit can be anywhere from 20% to 35% of your qualifying expenses.